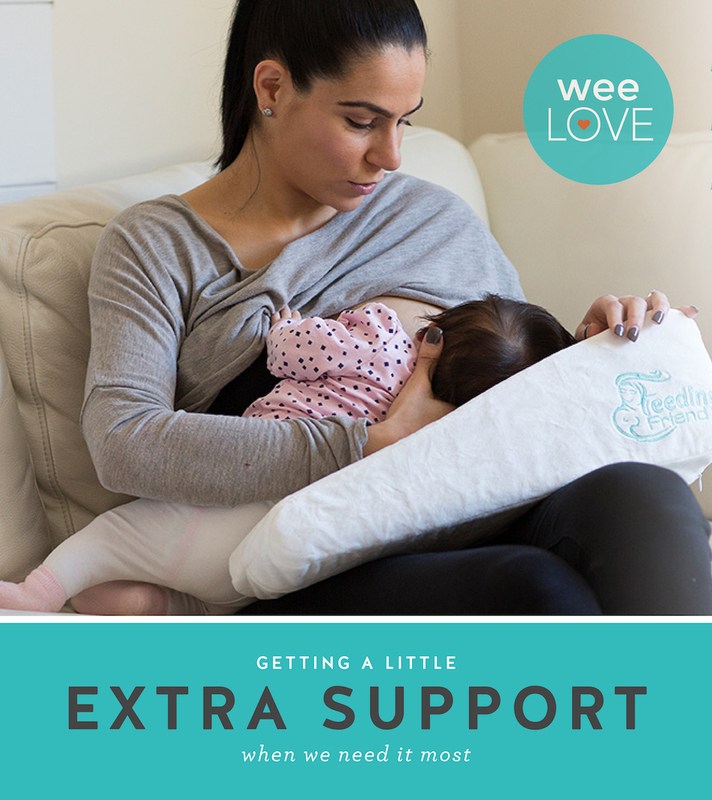 There’s nothing like a trusty pillow to make breast or bottle feedings easier and comfier for everyone involved. But you can’t exactly tote around the massive one (that’s almost as big as your glider) everywhere you go. Feeding Friend is an award-winning, portable, self-inflating pillow that fits in your diaper bag or stroller basket, so you can create a supportive feeding set-up in seconds. No need to hunch over or pull muscles you didn’t know you had. 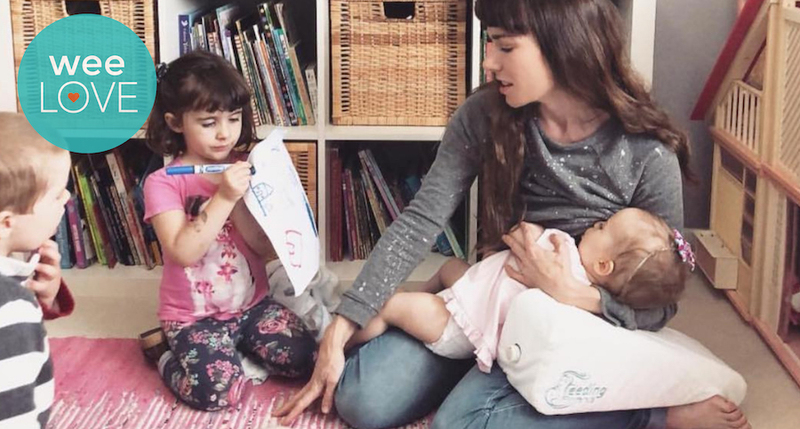 Thanks to the unique wedge shape that uniquely fits your kiddo as they grow, Feeding Friend reduces strain on your arms, neck, wrists, back, and shoulders. In fact, it was created by a mom who’d been there, done that… and knew there had to be a way to prevent those awkwardly-positioned, cramped feeding sessions. While moms everywhere love it, it helps others get in on the feeding sessions too (think dads, grandparents, caregivers). When you don’t need your Feeding Friend, simply deflate and tuck away in the handy storage bag. (Lots of moms just leave one in the car or pack it in their carry-on for travel.) Plus, the cover is removable and washable and interior cushion can easily be wiped down when needed. So whether you’re out and about, or at home in the nursery, Feeding Friend is the kind of pal you’ll always want by your side.